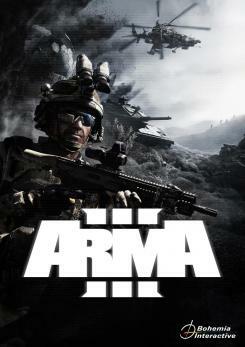 ARMA III is a massively multiplayer FPS with a dedicated campaign mode. Set in the 2030s, the battlefield follows military warfare in the Greek islands between NATO forces and CSAT (Canton-Protocol Strategic Alliance Treaty) led by a resurgent Iran with a coalition of other Middle Eastern and Asian nations. Captain Scott Miller from British Special Forces leads the battle and it is a fight for survival when the defensive NATO operations fail. Miller will have to successfully complete a series of missions, right from controlling heavy armored vehicle battles to solo infiltration assignments. Experience true military warfare on a vast island terrain and take down enemies using an array of customizable weapons including assault rifles, rocket launchers and sniper rifles. 10/10 game. Gameplay is fantastic, and graphics are stunning. There are some optimization errors, but if you can look past that it's the best military simulator/sandbox out there. Aggravating but when you understand that you die so fast because of it's realism you become amazed at the realism of the game as a whole, you get so immersed you can even become scared of people shooting at you, and for me that's the best feeling a game could give you. Get shot in the head, immediate death. As close to a military simulator as you can get. It's console spin-off Operation Flashpoint pales in comparison to the sheer nerve shredding action of Arma 3. Every ping of the bullet and every boom of a grenade is accompanied by sweaty palms and muted curses. This is not a shoot em up, this is a calculated - peak and squeeze ladies and gents and I bloody well love it. Arma 3 is the most realistic and complex first-person military sim in the world, hands down. It has not only got the looks, but a ballistics, damage and flight model, a team-interface, huge maps, a (modding) community, and everything else other similar games can only wish for. Some armies are even using it or a modified version of it as a training tool for their soldiers. And if it's good enough for them, I guess it's good enough for me and too. It's got a steep learning curve though. The best military simulator in the world. Combine your team work with your aiming skills, feel the recoil of every gun and experience the thrill of a gun fight in one of many mods that Arma 3 has. Face many opponents at once and work on your survival tactics. Choose your weapon of choice, engage in an open combat simulating authentic events from the history. No game is more concise in military warfare than Arma 3, and it is the call for all the competitive gamers out there.